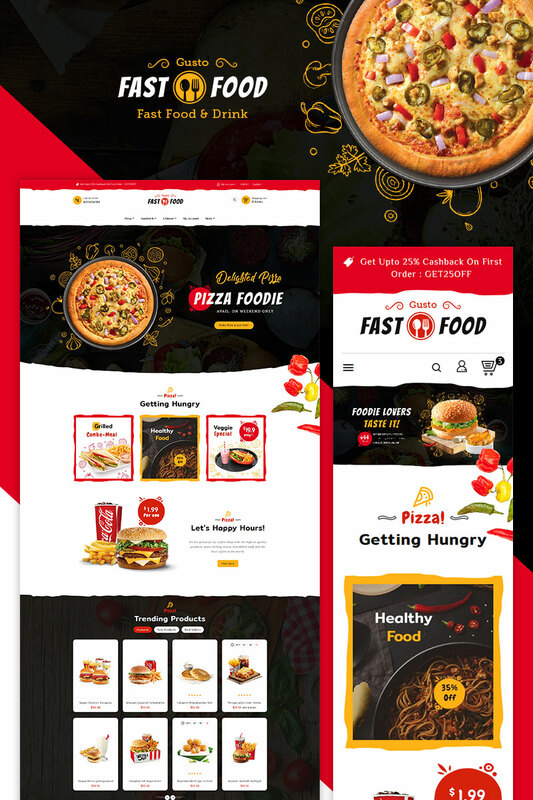 Fast Food is a Responsive Theme designed for Pizza, Italian, Fast, Food, Gusto, Restaurant, Cold, Drinks, Coffee, Bakery, Wine, Organic, Mega and multi purpose store. It is very clean and looks professional with color combinations. 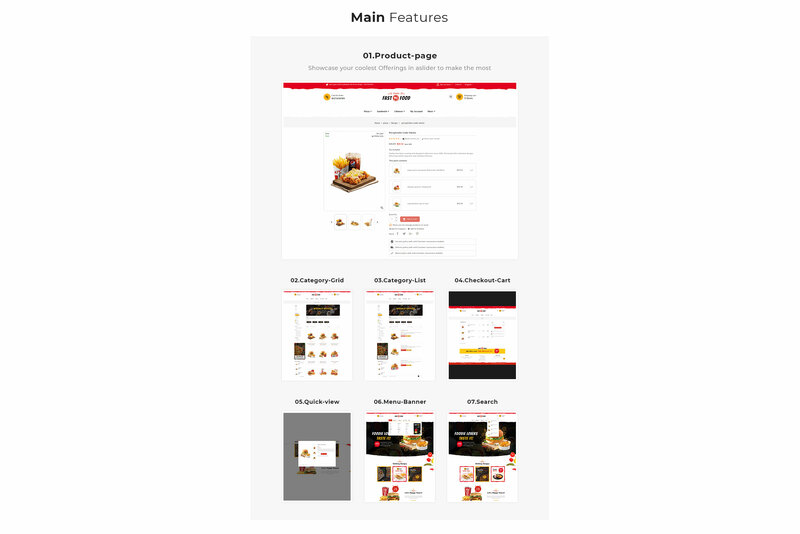 High Qualified and commented code for easy to customization.